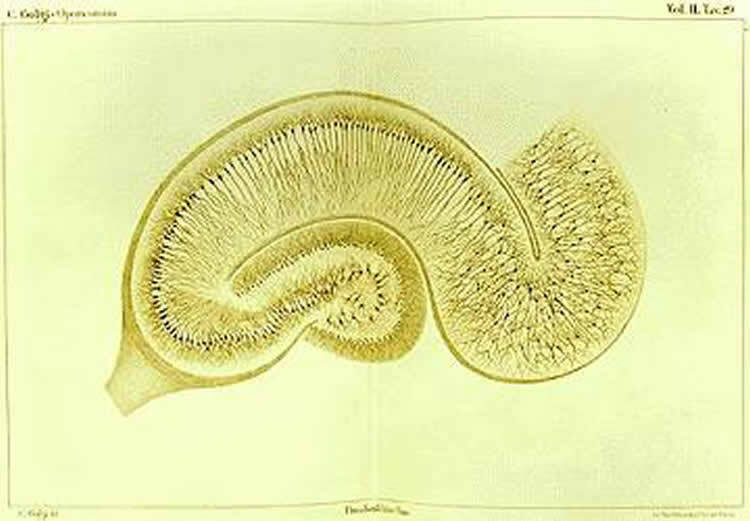 The cannabinoid type 2 receptor – also called “CB2 receptor” – is a special membrane protein. Its function is to receive chemical signals that control cellular activity. “Until now, this receptor was considered part of the immune system without function in nerve cells. However, our study shows that it also plays an important role in the signal processing of the brain,” explains Professor Dietmar Schmitz, Speaker for the DZNE-Site Berlin and Director of the Neuroscience Research Center of the Charité (NWFZ/NeuroCure). Schmitz coordinated the current study, which involved Berlin colleagues and also scientists from the University of Bonn and from the “National Institute on Drug Abuse” of the US. Endocannabinoids (eCBs) exert major control over neuronal activity by activating cannabinoid receptors (CBRs). The functionality of the eCB system is primarily ascribed to the well-documented retrograde activation of presynaptic CB1Rs. We find that action potential-driven eCB release leads to a long-lasting membrane potential hyperpolarization in hippocampal principal cells that is independent of CB1Rs. The hyperpolarization, which is specific to CA3 and CA2 pyramidal cells (PCs), depends on the activation of neuronal CB2Rs, as shown by a combined pharmacogenetic and immunohistochemical approach. Upon activation, they modulate the activity of the sodium-bicarbonate co-transporter, leading to a hyperpolarization of the neuron. CB2R activation occurred in a purely self-regulatory manner, robustly altered the input/output function of CA3 PCs, and modulated gamma oscillations in vivo. To conclude, we describe a cell type-specific plasticity mechanism in the hippocampus that provides evidence for the neuronal expression of CB2Rs and emphasizes their importance in basic neuronal transmission.